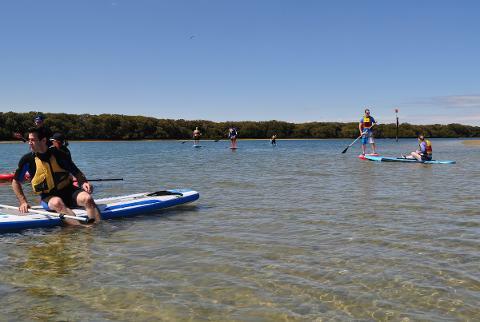 We hire Standup Paddle Boards (SUP) from Garden Island in the Adelaide Dolphin Sanctuary and Ships Graveyard…the best location for paddling in Adelaide. 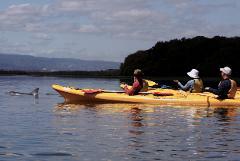 You can explore the beautiful mangrove creeks and search for the Port River Dolphins with your family or friends. 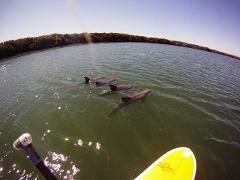 Exploring this sensational area by SUP is the most environmentally sensitive way to view the Port River Dolphins. 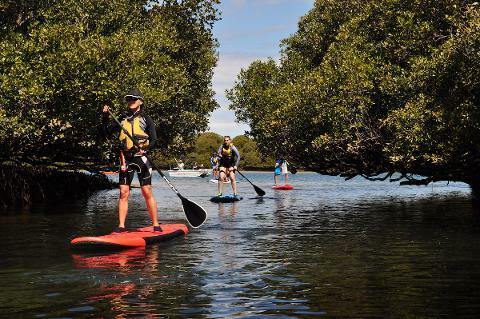 Our SUP boards have been specifically chosen to enable easy paddling and fast learning of new skills. We will have the boards and paddles ready for you at the launch site will help you set up and give you basic land based instruction if required, supply a map and advice on best spots and SUP safety-you then create your own unique adventure! 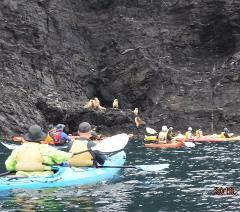 This fee is for the hire of a SUP board for up to three hours beginning at the time indicated on the booking calendar. This includes some time for us to explain local area and safety information. You can use all or part of your time. 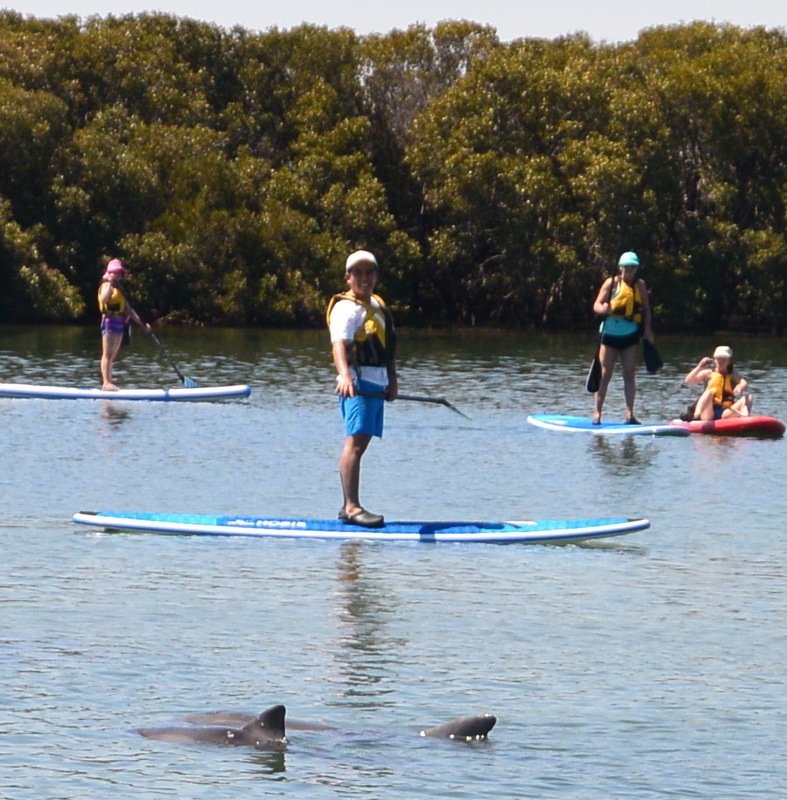 If this will be your first trial of standup paddle boarding we prefer that you book onto a Dolphin Sanctuary SUP Tour to receive more detailed instruction on the skills, safety and awareness to look after yourself and the equipment. 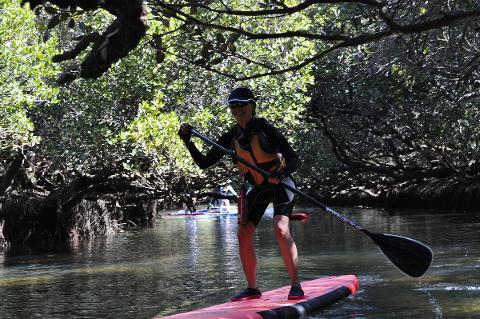 SUP is suitable for active adults and children 8 years and over. Our boards are suitable for beginners up to approximately 100Kg weight. If you are near that limit please call before booking. Bookings essential. Bookings can be made right now using our online booking system, you can book with a credit card over the phone or send an email to: bookings@adventurekayak.com.au If you have left it to the last minute you might be able to book on the day via phone. Call 0429019141. If the date you want is sold out you can go on a cancellation list by completing all booking details, your credit card won't be charged and we will get in touch if kayaks become available. Most people drive out to Garden Island. Unfortunately public transport doesn't travel to Garden Island. 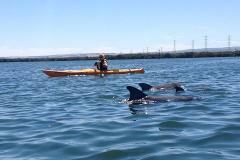 There are regular train and bus services to Port Adelaide and we can provide a transfer out to the kayaking and return for $10 per person...much cheaper than a taxi! We meet you at the Port Adelaide Visitor Centre, 66 Commercial Road, Port Adelaide (green flag bottom left of map) 15 minutes prior to the start of your tour. This location is about 10 minutes walk from the Port Adelaide train station; the bus stops very close to the Visitor Centre. This is a limited service, please be on time, some delay may occur after your tour before transfer back to Pt Adelaide. Train & Bus timetable can be accessed at : www.adelaidemetro.com.au or download the Moovit app on iPhone or android. Please indicate you need this service when booking. Note during January, 2017 the Port Adelaide train line is closed. During this time please take the bus. We hire our boards to people who have adequate skills, knowledge and experience to safely complete the activity. 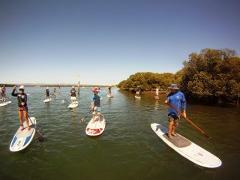 We prefer that you have had a SUP lesson with us or another accredited SUP school. We limit where you can explore for your own safety and our management. If you do not follow our guidelines and experience difficulty we may not be able to assist in your rescue and as such you are primarily responsible for your own safety and welfare including self rescue. In extreme cases we will contact Emergency Services and supply what information we have to aid in your rescue. Our equipment is of highest quality and in great condition and you need the knowledge to look after it and return it in the same condition as supplied, common sense really. Any abnormal damage, or loss of equipment will be charged to the hirer at replacement value (eg. SUP board is $1500AUS).